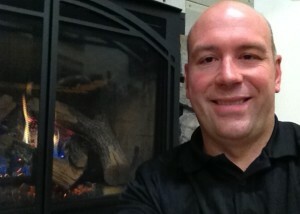 More than 20 years ago, Sam Osborne’s parents opened their business when gas fireplaces started gaining in popularity. The company continued to grow, and Sam eventually took over the family business. Today, Fireplace Specialties meets the needs of homeowners, builders and designers in Quinte, Prince Edward and surrounding areas, offering everything from simple fireplace and stove installations to complete turnkey solutions. What’s new at Fireplace Specialties? 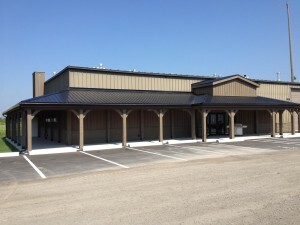 Our latest adventure was the opening of our new 6000+ square-foot showroom and warehouse. We have over 40 burning gas fireplaces and multiple wood burning fireplaces in our new space. This large, new space allows us to show our customers new ways to finish their new or existing fireplaces. What’s great about shopping at Fireplace Specialties? We offer everything to complete a fireplace installation. We start with helping you choose the appropriate fireplace options and controls (we offer gas, electric, pellet and wood-burning options). Then, we move on to finishing around the fireplace: drywall, stone (real or veneer), wood or concrete mantels. In today’s market, there are so many choices and no set rules. In the past, traditional fireplaces required traditional finishing. Now, clients are free to dream up any combination [of options that suit them], such as a traditional fireplace with a modern finish. Why the 6000CLX from Heat&Glo? It has an outstanding flame. The fire engulfs the entire inside of the fireplace. Heat&Glo has created a very realistic log set that almost points the central large flame—and then surrounds it with one of many front and door options. There’s one for every budget. The consistency of the deluxe RC300 IntelliFire Plus remote makes it a favourite with our staff for its lack of problems or breakdowns. What’s the first piece of advice you’d offer to someone starting to shop for fireplaces? Visit a fireplace showroom!!! Look at the way the product is installed in the showroom. Talk to the staff and allow them to guide you to what you need. There are so many products in market today. Shoppers need to create a relationship with the business from which they want to buy a fireplace. I spend it with my family. My kids are young, and the time goes by so fast. This business requires a lot of time, but I try to enjoy as much of their lives as possible. Visit Fireplace Specialties today to view all the gorgeous photos Sam has on his site; or better yet, go take a walk through their new showroom!